With iPhones, Tablets, and Android phones becoming one of the most common mediums for users to browse websites online, it is high time that website owners realize the significance of designing responsive websites. Though the first website of this genre was created some time back in 1996 when the Nokia 9000 web-friendly communicator was launched, the concept is yet to carve a place for itself among the web based businesses. 2012 saw the topic being avidly discussed. So what is the big hype that surrounds responsive web design? Let’s delve into the specifics. Responsive website design (RWD) is a user-friendly design that enables your site to resize or adapt itself dynamically on whatever device it is viewed on, irrespective of the screen size. In other words, you can view your site perfectly well without any distortion in both small mobile screens and big desktop screens alike. The panning and scrolling is diminished greatly with this technique. It is as if the website behaves as a fluid, getting adjusted to the size of the container in which it is held – hence a more appropriate name for this – Fluid Design. This design boosts user experience, improves conversion rates, and brings better exposure for your site. Many people would wonder why go for a responsive design, when we could develop mobile apps as well which would be native apps and which would best fit the screen sizes anyway. However, to get a mobile app developed for a business is not just expensive but also time consuming. A responsive website on the other hand makes use of existing resources at your disposal, repurposes your website layout thereby enhancing accessibility on mobile devices. Your mobile-enabled website would then respond optimally to any medium it is viewed on. For instance, a site can have three columns and a single sidebar when viewed from a desktop, whereas it can show much lesser columns and critical information only when viewed from a mobile or tablet. And all this at a fraction of the cost of developing mobile apps. Why is it imperative for websites to be responsive? Preliminary secondary research on statistics shows that in 2013 alone, over $38.8 billion has been spent in the United States in e-commerce transactions over mobile devices. 21% of visitors access the web via their mobiles only. 67% of people prefer a mobile friendly website for doing their online shopping. Mobile internet usage is expected to dominate desktop web usage in 2014. If you were to login to your Google Analytics account, you would be pleasantly surprised with the number of visitors who are already visiting your website from their mobile devices. Nothing less than 25% of your website visitors would be browsing your website on their mobile phones. 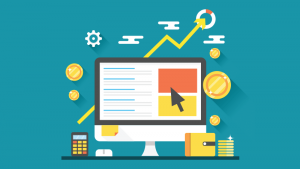 If you attach every visitor to your website with a dollar value, you would realize you are putting away one fourth of your probable revenue already if your visitors are seeing character chunks or tiny fonts on their phones. With the explosion of smartphones, it is all the more sensible, practical, and profitable to switch from a traditional layout to a responsive one for your website. Other than the statistics which certainly make the picture clear, there are some strong and definite reasons that make the change a vital one. Mobile usage has taken over – With mobiles gradually becoming the way people communicate, transact and do business, making your website non responsive would just mean leaving too much on the table for your competitors to pick. As the mobile user numbers are slated to increase, having a mobile-enabled responsive website should feature prominently in your digital marketing strategy. User-friendly feature – Not being mobile friendly can make your users recoil from your site altogether. On the other hand, a responsive website will keep the visitor engaged with the flow and will increase chances of a conversion. Increased traffic by mobile visitors – Blogs and social media concepts in your marketing campaign will cause an increase in the mobile traffic as social media is more active in the mobile devices. A lack of accessible element can lead to increased bounce rates, reduced conversion and worse, negative feedback. SEO booster – Google recommends the responsive design over the traditional design because of the high performance and low bounce rate associated with the former. Reduced loading time – If your page does not open within 4 seconds, you lose a visitor. With mobile devices, it gets even more demanding. Fluid and responsive design helps you choose most important elements to show to your visitor without too much jazz which ensures you serve apt content quicker with your visitors. This keeps your visitors engaged and happy thus highly increasing chances of conversion. Though it may look easy, developing such a website is a knotty process. Optimizing your site for all the mobile devices takes time, skilled professionals, and a project manager to oversee the process or you can also choose to smart-source the work via external partners. Smart monitoring of the traffic including the demographics and earlier visits of the customers should be analyzed to understand usage patterns of mobile users and navigation should be tuned for greater conversions. Evaluating the customer mindset and turning it to your advantage is important too. The initial setup costs for accommodating all this may seem slightly high, but it is far less than what is needed for a mobile app, if you are looking at not losing out on mobile traffic. To maintain the edge over your competition and keep up with the latest trends, a highly flexible design is vital. For an unrivalled position globally, you need to pull out all stops and get your business to the mobile savvy population, and a responsive website is just the right step in that direction. 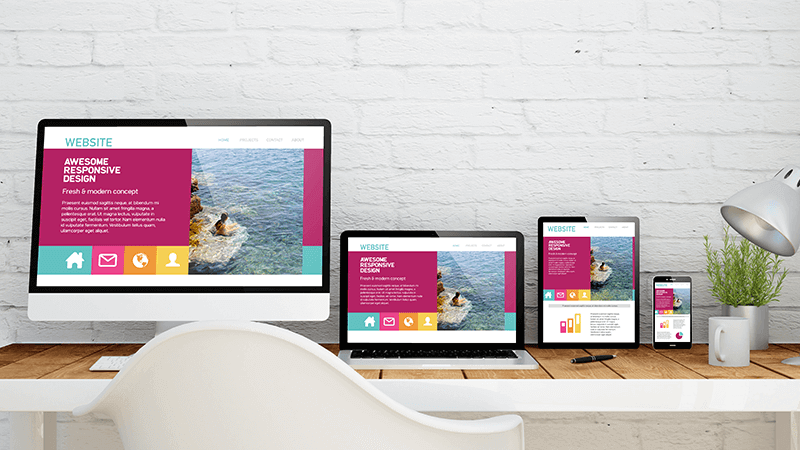 Have a responsive website yourself? What are the benefits you have felt so far? Feel free to post your experiences for others to learn.